Tooth decay, infection, acid exposure and change in temperature are the common causes of pain in tooth. However, a long term effect on your tendency and frequency to have toothache is produced by diet, practices of dental hygiene and genetic factors. Effective and fast home remedies to relieve toothache are clove, salt and garlic. 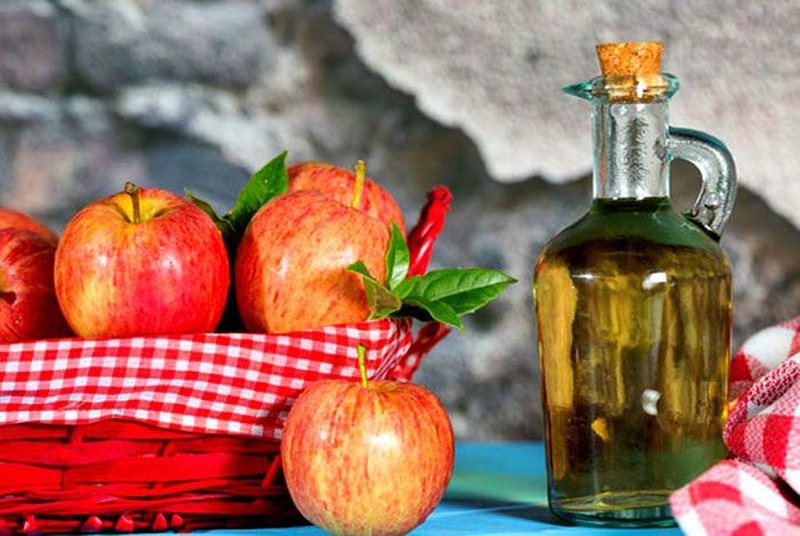 Apple cider vinegar is also an effective home remedy for toothache. These remedies come in handy when the toothache occurs in the middle of night or on a weekend or when there is no available dentist for many days. The anti-bacterial and anti-inflammatory properties possessed by apple cider vinegar helps in relieving toothache. The mallic acid and acetic acid present in ACV detoxify and purify the infection from the tooth. Similarly pectin in ACV removes and flushes toxins out of your body. ACV also restores the normal pH of your oral cavity and destroys bacteria. Dip cotton ball in ACV. Put the cotton ball soaked in ACV on your infected tooth for 5-10 minutes. Repeat this 4-5 times per day. Apart from water, there exist other materials with which you can combine apple cider vinegar and use for toothache. By doing so, you get many options to treat toothache on your own. Whether you use pure apple cider vinegar or use it mixed with other ingredients, the important fact is that it will make you free from tooth infection and you will be able to live your life like before. You can actually combine ACV with raw honey in two ways for relieving toothaches. You can either combine them or also add garlic to the mixture. Mix ½-1 tbsp of raw honey with ½-1 tbsp of ACV. Dissolve this mixture in one glass of water. Gargle with this water a couple of times during the day to relieve your toothache. In this way you can use apple cider vinegar for toothache. Mix a cup of ACV with a cup of raw honey and add 8 cloves of garlic to the mixture. Put the mixture in a blender jar and blend on high for 1 minute. Pour the mixture in a glass. Use this mixture as a mouthwash as the ingredients help kill the germs in your mouth. Lemon is a rich source of Vitamin C, which is good to maintain dental health. Mix 2 tbsp of lemon juice with 1 tbsp of ACV and stir them to blend the mixture evenly. Gargle with this mixture 3 times in a day to relieve toothache. Cinnamon contains vitamin K and it is also an effective remedy for toothache. Mix 1 tbsp of powdered cinnamon with 2 tbsp of apple cider vinegar. Apply the paste using a cotton bud to the decayed tooth and let it remain there. Use it regularly for best results. This is how you use apple cider vinegar for toothache. Salt has been used for centuries to cure toothache due to its anti-inflammatory properties and its effectiveness in killing bacteria and germs present in the mouth. Dissolve ½ tbsp of salt in 1 cup of ACV. Use the mixture as mouthwash 3 times in a day to relieve your toothache. Peppermint is popularly used for toothache due to its effectiveness in killing germs and bacteria. Steep some dried peppermint leaves in one cup of steaming hot water for around 20 minutes. Let the water become cool or warm, and then add 1 tbsp of ACV. Use this water to gargle and it will relieve your toothache. After knowing how to use apple cider vinegar for toothache let’s discuss some more remedies for toothache. Cloves: Cloves has antioxidant, antibacterial and anti-inflammatory properties all of which are required to relieve toothache. Take few cloves and make their powder. Make a paste by mixing powdered clove with some olive oil. Apply this clove-olive oil paste on the decayed tooth and let it remain there for some time. Onion: Onion has properties that make it effective to treat the intense pain caused due to tooth infection. Onion juice helps in killing all the germs causing the infection. Extract juice from an onion and apply it on the affected area. You can chew a raw onion and extract its juice and let it remain in the mouth for some time. Repeat the process to relieve pain in tooth. Garlic: Garlic is a common ingredient used in kitchen. It has antibiotic and anti-inflammatory properties which help in killing bacteria and reducing inflammation. Crush some fresh cloves of garlic. Mix some black salt with crushed garlic and apply this to the decayed tooth or the affected area and let it remain there for some time. Vanilla: Vanilla is a very effective remedy that can help in reducing toothache and associated symptoms. It also provides calming effects. Dip a cotton ball in vanilla extract and apply on affected tooth. Repeat this several times a day for best results. Cayenne Pepper: The ingredient capsaicin present in cayenne pepper helps in relieving toothache. The sensation of warming produced by cayenne pepper has great value as it helps in relieving pain and inflammation associated with toothache. Make a paste of cayenne pepper and apply this paste to the affected tooth. Let it remain there for some time to get best results. Potato: Potato may be used effectively in relieving toothache. Potato also helps in reducing the swelling associated with toothache. Due to its anti-inflammatory properties, potato also helps in reducing inflammation. Slice one potato. Put the slices on the affected tooth. You can also make a paste of potato and apply this paste on the affected tooth. Let it remain there for some time. Repeat the process for desired results.